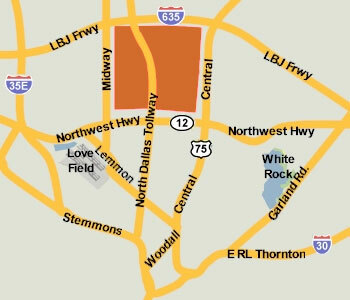 These premium properties in North Dallas and Preston Hollow were listed for lease as of April 13, 2019. Click on the address for more information on each, including photos and a map of its location. ° JUST RENOVATED!! Utilities included! Updated downstairs condo in a 6-plex building behind the Pink Wall. Brand new kitchen with custom cabinets, quartz counters, hardwood floors, recessed lighting, SS appliances, and new fixtures. Bathrooms updated with tile floors, custom cabinets, modern lighting and fixtures. Stack washer dryer included. Hardwoods in the living and dining areas. Carpet in the bedrooms. Windows brand new in 2017. Owner's wife is a licensed TX Realtor. ALL PHOTOS ARE OF A SIMILAR UPDATED UNIT IN THE COMPLEX. ° Large 3-3-2 w nice outside space. Remodeled w top quality granite, porcelain tile, wood floor, carpet. Sought after Preston Square townhome community, very safe & secure w greenbelt, walking, biking, jogging path. Large open kitchen & floor plan w 2 master's - 1 up & 1 down. Huge closets, quiet community w big pool & tennis courts, club house & surveillance cameras at entrance. ° Additional Info: Pets allowed limit 2, unfurnished, 2 covered parking space(s), 1 fireplace(s), Dallas ISD. ° Additional Info: Pets allowed limit 1, unfurnished, W/D connections incl., available now, 2 covered parking space(s), 1 fireplace(s), Plano ISD. ° Immaculate in the most sought after community in North Dallas. The New Orleans gated courtyard entry opens to a Todd Henson built town home. A rare find with the Master bedroom down with a sitting area and over sized master bath, plus two up. Incredible storage. Updated kitchen with SS appliances,tile glass back splash, and utility closet. Preston Square Community offers acres of greenbelt space, pool and tennis. deck and clubhouse facilities. Measurements are approximate and Lessee or agent must verify all information. .
° Brand NEW 4 bedrooms 3.1 bath modern townhouse is a must see for those looking in the Lake Highlands area. The home opens to a spacious foyer with a beautiful wooden staircase that retreats to the upper floor. A gas fire place will provide all the warmth you need for the brief Texas winters. The open concept kitchen is masterfully designed to give plenty of room for moving about while also providing plenty of storage space in the cabinets and drawers. When you reach the second floor, you're greeted by beautiful hardwood floors. The master bedroom offers plenty of room for all your belongings and the accompanying bathroom boasts a dual vanity sinks and a large shower bathtub. ° Additional Info: No pets allowed, unfurnished, 2 covered parking space(s), 1 fireplace(s), Richardson ISD.